GMB, the union for colleagues within Asda, attended the Asda Enfield site on Friday 5 October to support GMB members while they were informed of the decision to close the Enfield Home Shopping Centre. 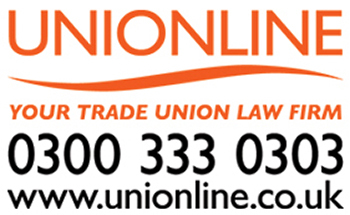 GMB have since been working to secure jobs for all affected members and ensure an acceptable redundancy package is offered to the staff. “The redundancy package is, in short, the most comprehensive and valuable package secured for hourly paid colleagues within Asda in the past 8 years. “Asda has also agreed to the proposal raised by GMB, that neighbouring Asda stores can be over contracted to secure redeployment. “All those on site worked tirelessly throughout the consultation period to secure the agreed package. “This is fantastic news, and GMB will be working closely with regional management to secure vacancies for impacted GMB members.